The reunion of Captain Beefheart’s legendary Magic Band in 2003 was the brainchild of John ‘Drumbo’ French, who has the distinction not only of being the drummer on Beefheart’s seminal 1968 recording Trout Mask Replica, but also of being the longest serving musician in any of Beefheart’s musical lineups that existed between 1966 and 1980. French’s musical adventures began at the age of 13 when he switched from oil painting to music. Living in the remote High Desert area of Lancaster, PA (also home to Frank Zappa and indeed Don Van Vliet, later to be known as Captain Beefheart), his musical senses were heightened by the stark, empty beauty of the landscape and aided his dedication to honing his craft to its highest degree. Sometime later, John was invited along to a rehearsal of a band called Captain Beefheart and his Magic Band by guitarist Doug Moon. This was John’s first exposure to the Delta Blues and both the notional leader Al Snouffer and the real mover Don Van Vliet were impressed by John’s playing, both with the band, and solo following the end of the main rehearsal. About a year later, John was invited to join the band full time, and six months later Captain Beefheart’s debut on record, Safe As Milk, was recorded for the Buddha label, with John on the drum stool and one Ry Cooder playing guitar. A performance at the Monterey pop festival followed along with some personnel changes and two more albums before Don Van Vliet began a 9 month project with the band, initially entitled “Neon Meate Dream Of A Octafish” but which later became Trout Mask Replica. Recorded by Frank Zappa and released on the Reprise label, Trout Mask Replica was recognised only by a select few on release, but nearly 30 years later has come to be recognised as a true milestone of modern music, its cocktail of free jazz, raw delta blues and sonic experimentation reaching out to artists and audiences with open ears & minds all around the world. Beefheart’s various musical lineups went on to record several more albums, some of which reached the dizzily innovative musical heights reached on Trout Mask Replica but also included material in a more straightahead blues idiom. Beefheart took the decision to retire from music in 1984. Fast forward to 2003. Don Van Vliet has retreated once more to the desert, concentrating his creativity on painting and the visual arts. Meanwhile, members of The Magic Band, led once more by their erstwhile musical director John French have begun to discuss the reformation of a lineup to play once again some of the highlights from the Trout Mask Replica days and beyond. Spurred on by sympathetic support from the likes of Barry Hogan (organiser of UK festival All Tomorrow’s Parties) and BBC Producer Elaine Shepherd, the group jelled around John ‘Drumbo’ French on drums and filling in Beefheart’s vocals; bassist Mark ‘Rockette Morton’ Boston (part of the Trout Mask Replica band); guitarist Gary ‘Mantis’ Lucas (a veteran of Beefheart’s final 80s band), and Denny ‘Feelers Rebo’ Walley (a veteran not only of Beefheart’s bands but also Frank Zappa’s). 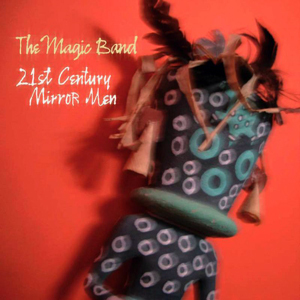 This unique version of The Magic Band made its live debut in April 2003 at the All Tomorrow’s Parties festival, at Camber Sands in Essex, before thousands of excited fans and was followed by a triumphant London appearance at Shepherd’s Bush Empire. An album followed and more dates during 2004, including Glastonbury Festival, which is where Proper Records pick up the story… Seeing the band both in London and at Glastonbury, lifelong Beefheart fan and Proper MD Malcolm Mills decided he had to release their next record.